The NBA season tips off a week from today and several former Michigan players are facing a critical season. Trey Burke and Glenn Robinson III have both played well in the preseason while Mitch McGary and Nik Stauskas are sidelined by injury. The Utah Jazz picked up Trey Burke’s fourth year option this month and the former National Player of the Year will have a huge opportunity this season with fellow Jazz guard Dante Exum sidelined by injury. Burke is averaging 14 points per game through four preseason contests and is coming off of his best game of the preseason on Sunday. He dropped 22 points against the Blazers, going 9 of 12 from the floor and knocking down 4 out of 5 three-point attempts. Burke had a tough sophomore year with the Jazz after earning NBA All-Rookie honors during his first year. His shooting numbers slumped and he eventually started coming off the bench for the Jazz during the second half of the season. 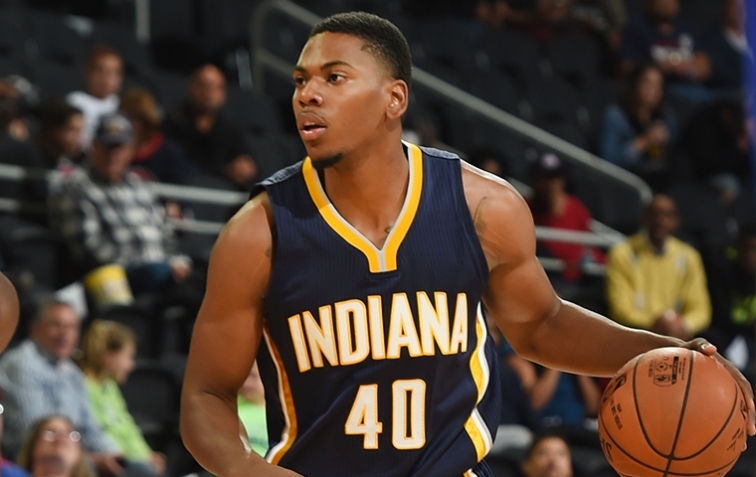 Glenn Robinson III is already playing for his third NBA team (four if you include the Atlanta Hawks this summer) as he gets set to start this season with the Pacers, but it looks like he might have found a perfect fit in Indianapolis. Robinson earned Larry Bird’s praise before the preseason started and now appears to have backed it up on the floor. Since the preseason started, Robinson is averaging 11.2 points per game on 56% shooting including 54% from long range. He’s also earned praise from a number of Pacers players and coaches. According to Pacers.com, Robinson’s three-year contract with the Pacers is guaranteed for the first year-and-a-half and appears to be a part of the plan in Indiana. Tim Hardaway Jr. is just 8 of 33 from the floor in preseason play with the Atlanta Hawks and is averaging a shade over 19 minutes per game. The 6-foot-6 wing guard was dealt to the Hawks on draft day and still appears to be searching out a comfort zone with his new team. Despite his struggles, PeachTreeHoops thinks that Hardaway will still have an opportunity to make an impact early this year. He talked about how the Triangle was always on your mind and that one of the biggest differences in Atlanta was the free flowing nature on offense. While that is true, there are concepts and reads that players must make in Budenholzer’s system and Hardaway currently looks like a player that is thinking a bit too much rather than simply reacting. Despite his struggles, Hardaway looks like a good bet to see minutes in Atlanta’s rotation once the regular season begins. As was mentioned earlier, the Hawks paid a heavy price to acquire him so he will likely get ample opportunities to prove he can do the job. Hardaway was recently skewered by ESPN Insider, being called a “shameless gunner who plays matador defense” in a scouting report. He’ll have a lot to prove this season as he has the chance to play with a winning team in Atlanta. Mitch McGary averaged 9 points and seven rebounds during his first three preseason games before suffering a concussion against the Memphis Grizzlies last Friday. He was held out over the weekend and will sit out Oklahoma City’s preseason finale, according to first year head coach Billy Donovan. At media day, McGary discussed having Donovan as a coach after he recruited him in high school. McGary didn’t mention Michigan’s shellacking of Florida in the Elite Eight. The 6-foot-10 big man is healthy this season and spent the majority of the summer working out in Oklahoma City. He’ll face heavy competition in the frontcourt though with Serge Ibaka, Steven Adams, Enes Kanter and Nick Collison in the mix. Jamal Crawford is averaging 8.4 points per game in preseason play with the Clippers after facing trade rumors for much of the offseason.